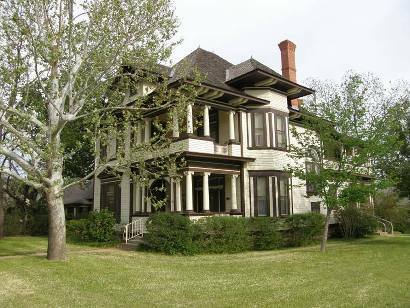 Graham Texas, Historic Graham, Graham Texas Hotels. 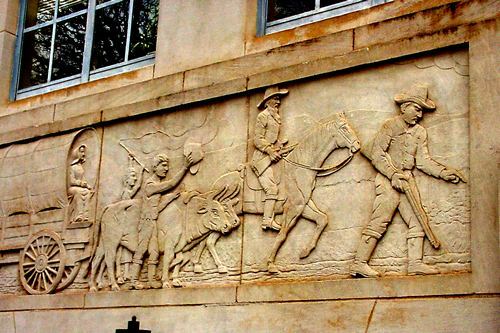 A courthouse detail that may depict the arrival of the Graham Brothers. Settled by brothers Gustavus and Edwin Graham, who had bought 125,000 acres in Young County after the Civil War, the town began around 1871. 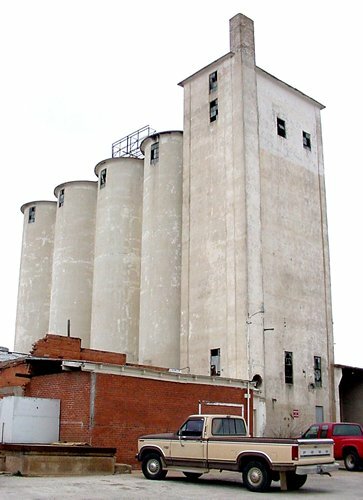 A saltworks was bought by the brothers in 1872, and Gustavus Graham surveyed the future town. Lots were sold and the first store was opened. 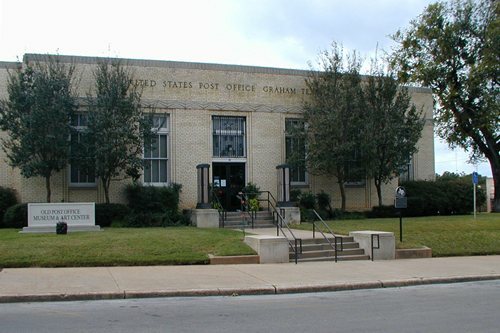 A post office was granted and after a short dispute with Belknap in 1874, Graham was declared county seat of the newly organized Young County. A frame two-story courthouse was built in 1876 and was replaced by a three-story limestone courthouse eight years later. The current courthouse replaced the 1884 courthouse that was demolished in 1932. 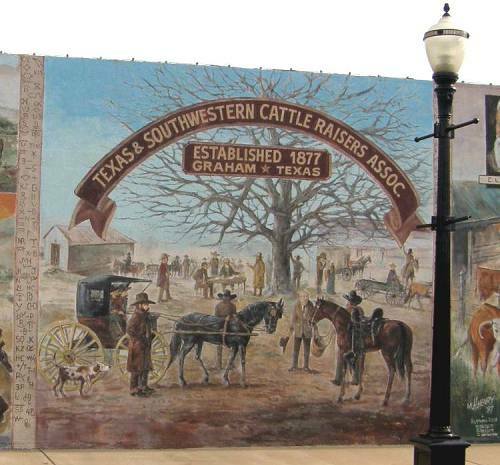 In 1877, the Cattle Raisers Association was organized in Graham. 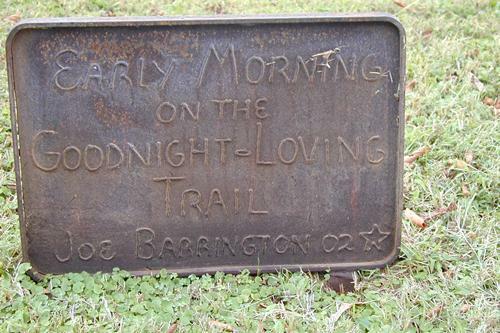 It has since evolved into the Texas and Southwestern Cattle Raisers Association. 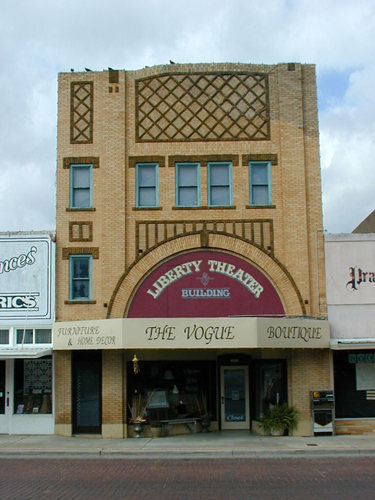 Dr. J. E. Ryus built a large brick drugstore on the west side of the square in 1879 and leased the upper floor to the Federal District Court for seventeen years before it relocated to Abilene. 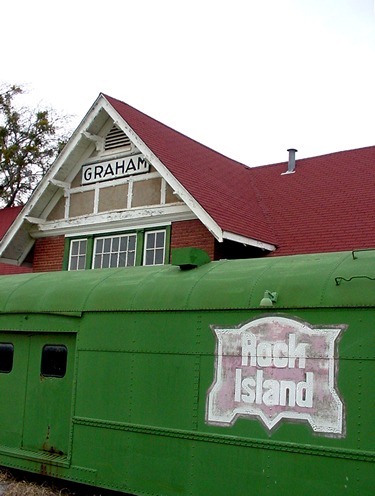 The Chicago, Rock Island and Texas railroad arrived in 1903 from Fort Worth when the population of Graham was about 1,000. After the discovery of oil in 1917, the population more than doubled, but Graham was spared the uncivilized growth of other boomtowns. By 1940, the population had exceeded 5,000. 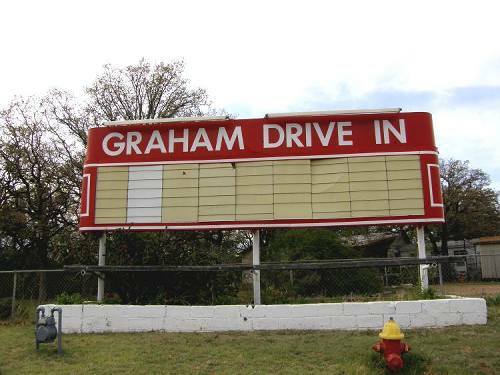 According to the Handbook of Texas, in the mid-1960s Graham had seventeen churches, seven school buildings, a hospital, a radio station, two libraries, three parks, and two newspapers. 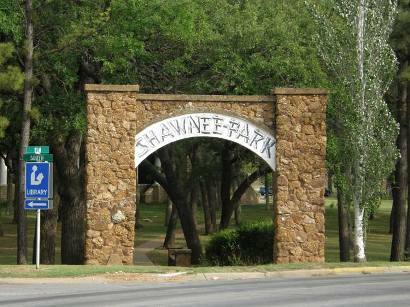 Ranger and Cisco junior college satellite campuses provided higher education. The population of Graham has increased slowly but steadily. 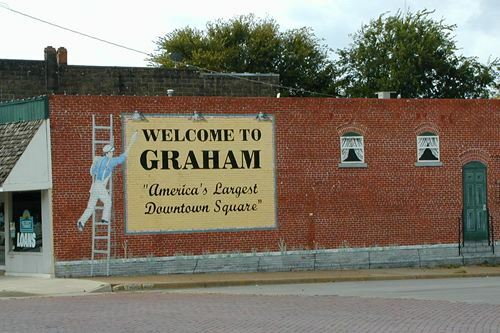 Graham states on a downtown mural that they have the largest town square in America, but it is the overall neatness of the town that makes it a popular destination. 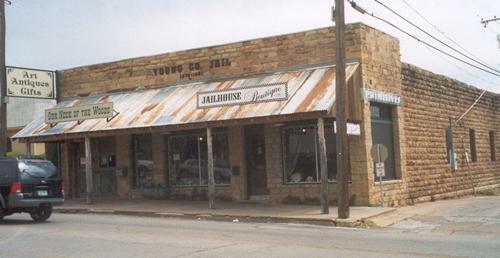 The old Young County jail, used from 1878 until 1921, now serves as an antique store and gift shop. 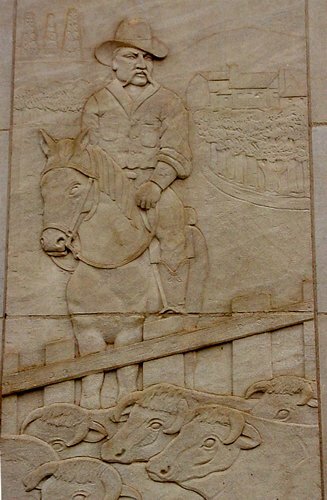 Young County Courthouse - Stonecut cattleman oversees herd, with oilwells in distance. Two blocks N of the square. 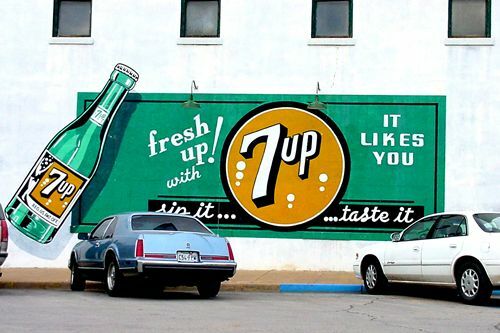 The Uncola Strikes Back - a 50s-era reproduction. Lake Eddleman - U.S. Hwy 380, 3 miles NW of Graham on . 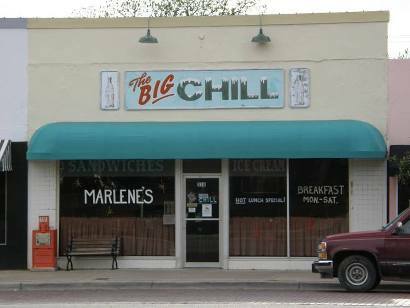 Graham Area Chamber of Commerce - (800) 256-4844. 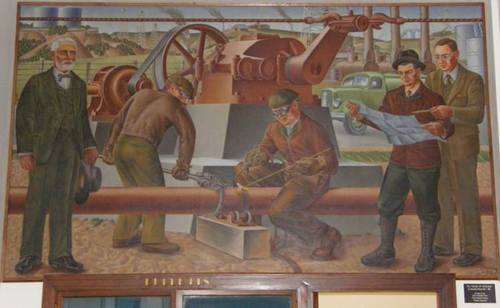 Texas has had no shortage of colorful oilmen, and Charles Edward Hipp, though lesser known than many of his wheeler-dealer contempories, rises near the top of the oil drum. I was surfing the net this afternoon and found your website. 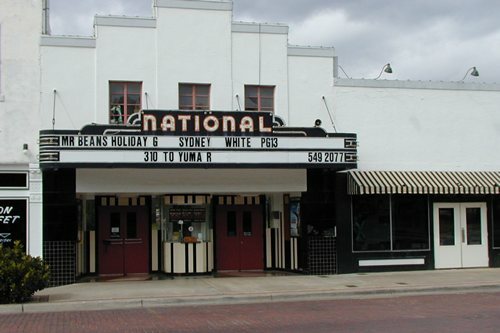 I was looking at the photo of the National Theater in Graham and the caption “One of the two theater buildings on the square in Graham”. Actually there is a third. I believe it was called The Palace. The other theater is the Leon. The Palace is located north of The National about 2/3 of the distance between it and the Leon. I don’t know what the building is now but it was remodeled and opened as a Whites Auto Store some time in the late 1950s, approx. The original sloping floor was leveled by a lumber false floor built over the concrete. I don’t know why all three theaters are in the same block. Maybe it was the natural slope that more easily accommodated the theater seating. The photo is of the west side of the square, looking west, and the slope is toward the rear of these buildings. 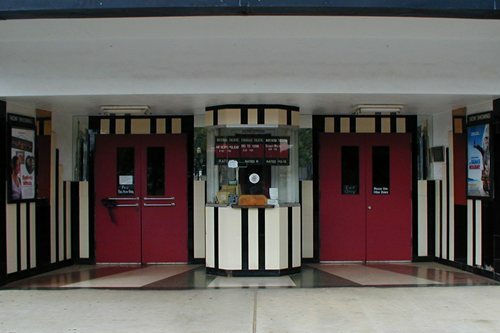 If you ever go to Graham, walk around behind the National and look at the north side of the theater building near the rear. 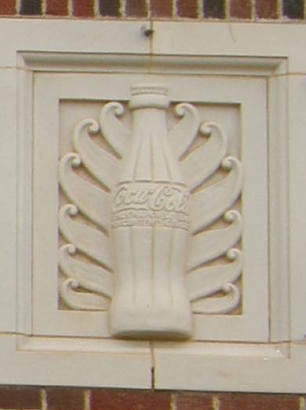 You will see a large 8’ diameter (approx) circle in the brick. That is where the windmill fan was installed to air condition the theater. I understand that the fan was electrically powered and there was a large intake covered by evaporative cooler padding, and this created an early evaporative cooler, sort of. 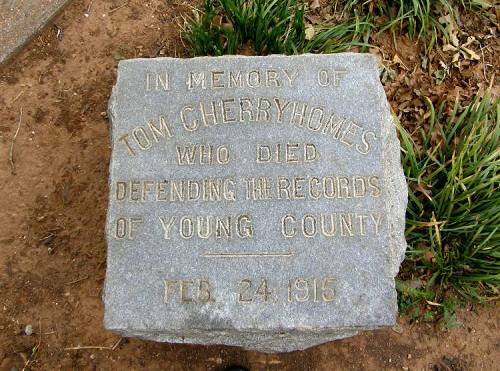 "1889: A shootout between a lynch mob and the Marlow brothers sent two of the brothers to the Finis Cemetery. 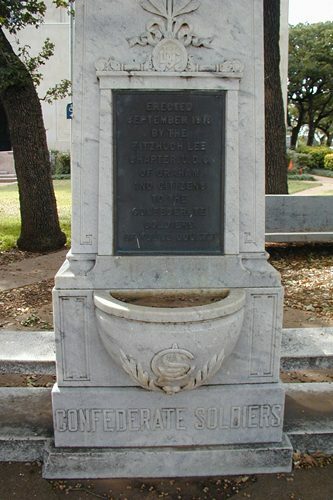 This incident was later screen-written into the movie The Sons of Katie Elder."